Canada's oil giant Suncor Energy has allocated $7.8 billion for capital spending in 2014, the company announced on Wednesday. Approximately $4.2 billion of that will go towards growth projects. That's a half-billion dollar increase on last year's budget and $1.1 billion increase since 2010. 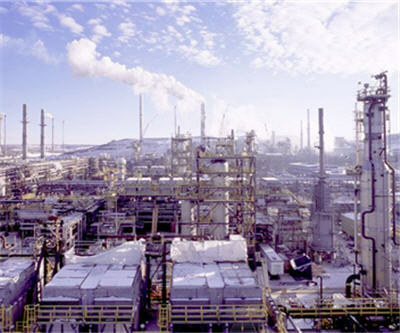 Suncor, Canada's largest energy company, says $1.9 billion has been earmarked for the Fort Hills joint venture and expansion initiatives including the MacKay River phase two. The company approved the $13.5 billion Fort Hills project last month and holds a 40% interest in the bitumen mine. "Our 2014 capital plan demonstrates our continued commitment to capital discipline," CEO Steve Williams noted in a statement. "As evidenced by our debottlenecking initiatives and the recent Fort Hills project sanction, we will be diligent in pursuing only those projects we believe will deliver long-term shareholder value. This approach applies not only to how we view oil sands investments, but also to other opportunities in our rich suite of growth projects." Suncor also announced its 2014 production plans: Between 565,000 and 610,000 barrels of oil per day. Total oil production year-over-year is expected to rise by 10%.